The following table shows which parts of an uploaded Document assessment can be edited and at what stages of use. Note: If you are not the original creator of the assessment, you will not be able to edit it without cloning the assessment first. Open the assessment you want to edit. Click on the Edit pencil icon at the top of the assessment. You can make any changes you want to the assessment, including uploading a new file. Click on Save Changes to save the updated assessment. 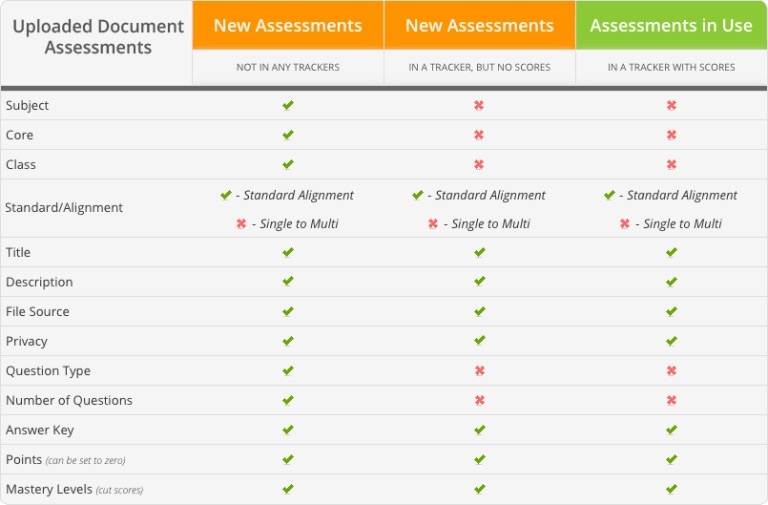 * If a creator edits an assessment, any tracker that uses that assessment will be notified. The user will get a message in the standard where the assessment is located. Click on the message to view the update. Then the user has the option to apply the updates or dismiss (ignore) the updates. 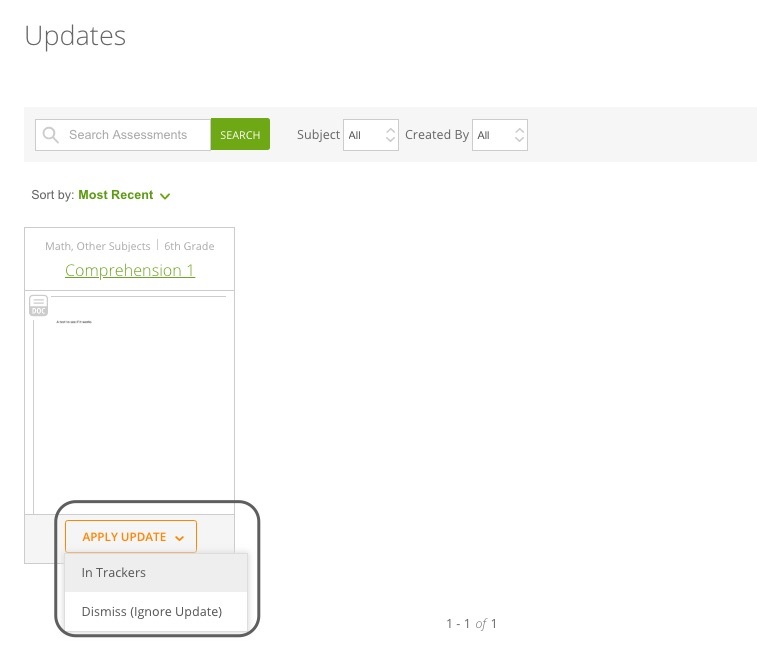 Once they have selected what they want they can select the trackers that are affected and click update or dismiss.